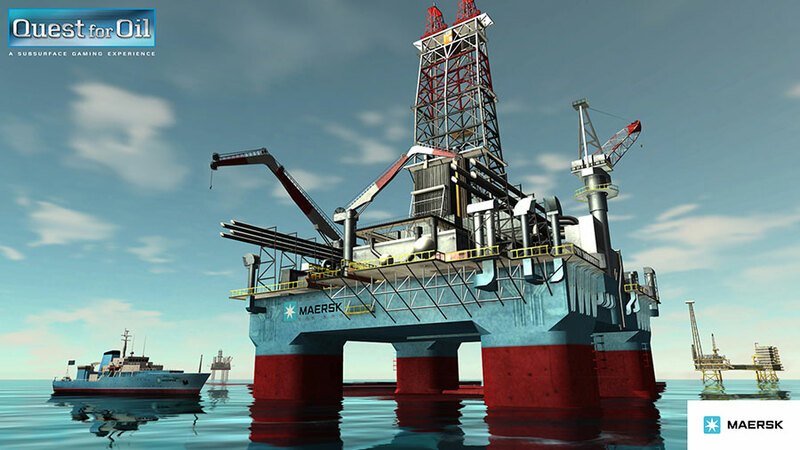 Maersk launched mid-June a new "Serious Game" called Quest For Oil, developed by Serious Games Interactive in Copenhagen. 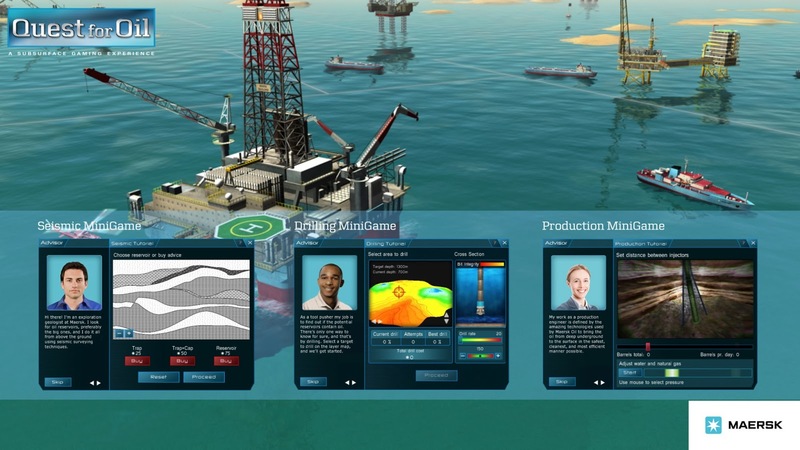 With the free, world-wide distribution of the real-time strategy game, Maersk aspires to open up the oil business to everyone. Based in Copenhagen, Denmark, Maersk is a global conglomerate with a variety of sectors within the transportation and energy industries. The Quest for Oil Serious Game is based on the Maersk Drilling and Maersk Oil units that are at the cutting edge of the upstream oil sector. Quest for Oil allows players to test their analytic and strategic skills while experiencing first-hand what it’s like to be on a drilling rig. 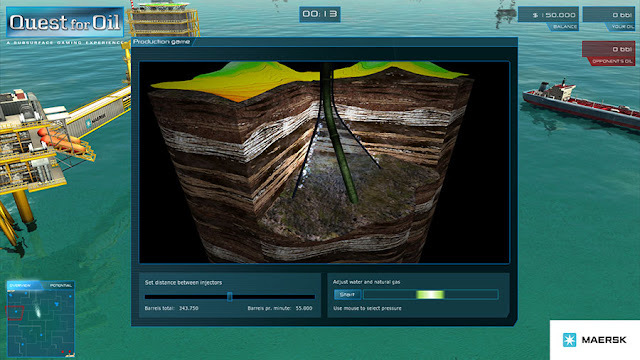 Along the way, players are introduced to the key challenges of the industry such as how to read earth layers and detect oil reservoirs. 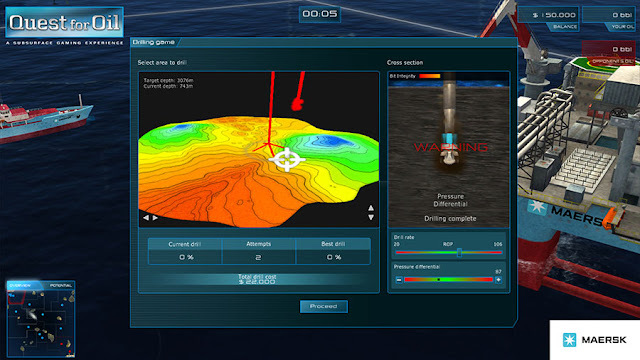 It’s a player’s ability to analyse and use this knowledge that will see them overcome their digital opponent and become victorious in their quest for oil. 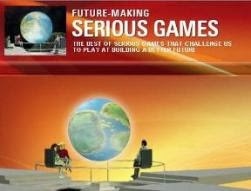 The Serious Game represents an entirely new way of learning about the layers of the earth, how complex it is to unlock the oil and what it takes to be in the highly competitive oil business. Drilling for oil - Step 3: Once you have indicated where to drill, you need to control the actual drilling process. Your goal is to drill as fast and as safely as possible. Watch out for warnings informing you about a possible blowout or pressure differential. Oil production - Steps 2 – 4: After confirming the location and size of the reservoir, it is time for the oil production process. The objective is to unlock the oil from the reservoir rock by injecting water and natural gas into the rock. The right pressure adjustment is crucial. The last step is to choose how to transport the oil to your refinery. 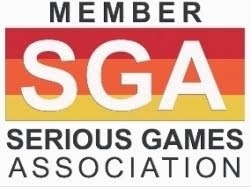 The competitive aspect of the game wasn't left behind either. 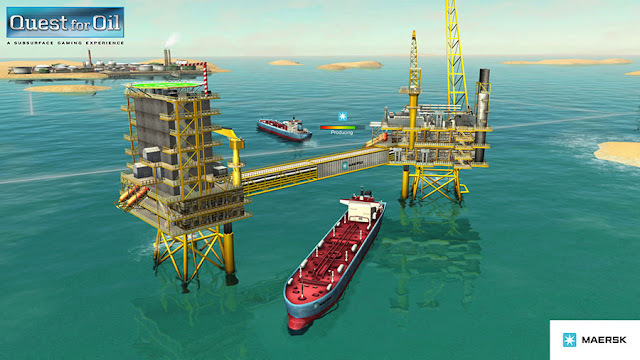 Quest for Oil places players on a drilling rig with its 53,000 tonnes of steel rammed into the ground, while using the knowledge you gain to dominate your virtual opponent.